with Anchor links. Here is how to insert anchors without using a plugin. With a table of contents, you, as a visitor, can immediately see what can be found on this page. From the menu, you can jump right away to the section. When every title is a link, you immediately get to the info, without scrolling and searching. Visitors with a smartphone or tablet do not scroll quickly to scan titles. In this way, you give them a quick overview. Link to a specific item in another page, that, of course, is also possible. 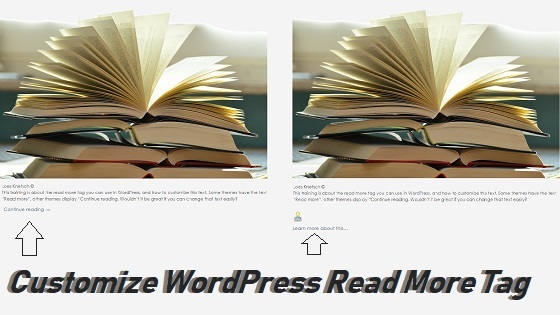 With the way, I explain here, you need to have access to the text editor of your post or page to be able to place the HTML ID codes. Here comes this code, attached to How does it work? To be able to link to a text further down a page, the target, that text must become an anchor. Then you make the link, to the unique anchor that you just made. So you need two things: place an anchor (link target) and ad the link to it. Again, here comes the anchor attached to How do you do it? Format your text. Specify styles; this header above of step 1 is “Header 3”. If you don’t see the style picker, click on the right-most symbol in the icon bar, the “sink”. You will then see the second row of icons, with the style selector on the left. the id tag, behind it the = sign, and between double quotes has to be identical to the header name. Now you have the anchor to which you can link. Select the text (an image can also be) that link should be and click on the chain symbol. Specify the unique name of the anchorage just created, with a # in front. You can also link from other pages. On that other page, select the text or image that should be the link and click on the chain symbol. Select the page you want to link to in the list. Tap after the slash / a # and immediately the name of the anchorage (without spaces). I have added this link here, but you can use this from any page to link back to a particular paragraph title. This code you add to your paragraph title. In between the paragraphs, you can also add a “Back to Top” link, for the convenience of your audience. 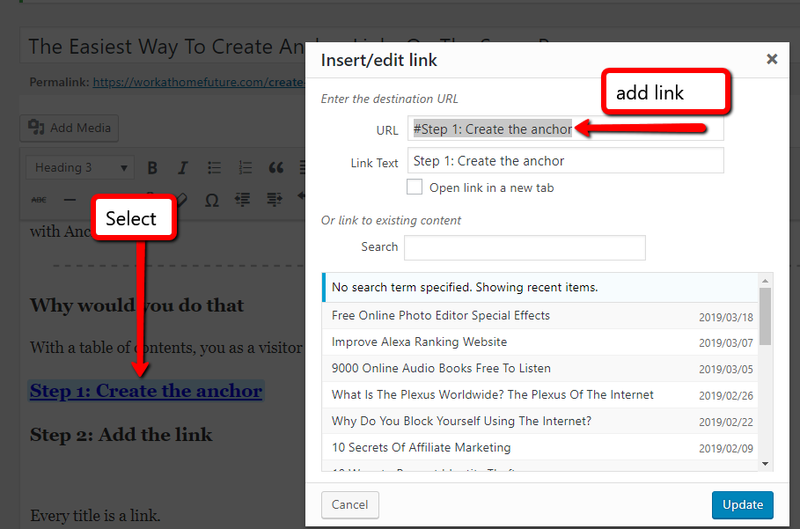 These are the links you can place in your editor to create the back to top links. When you are using the Gutenberg editor, it might be different. You can disable the Gutenberg editor temporally with a plugin. To get access to the old-school editor again. I am using “Disable Gutenberg” by Jeff Starr. Because I have a Top Bar notification, I have adjusted my anchor links a bit, so the title is visible after the jump. My code looks therefore like this. How to let the anchor link stop at the right place? 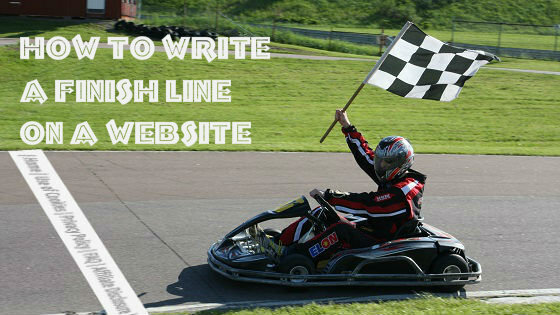 Use the &nbsp; HTML code in between, that gives a little more spacing between the anchor and the title. This entry was posted in Tutorials HTML Codes and tagged anchor link om same page, anchor link to specific section, create an anchor jump link, jump link on same page, stop anchor link at the right place, Title not readable after anchor link. Bookmark the permalink.